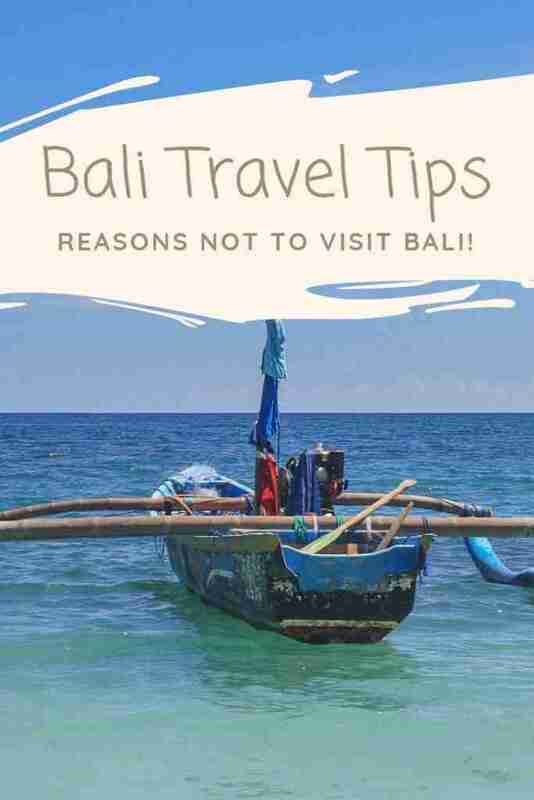 Bali Travel Tips – Reasons NOT to Visit Bali! My first impressions of Bali, when I arrived from the airport, was not good. My expectation of Bali before I arrived was that it would be an island paradise but now leaving Bali, I feel it was extremely overrated. Checkout our travel guide to Bali before going. 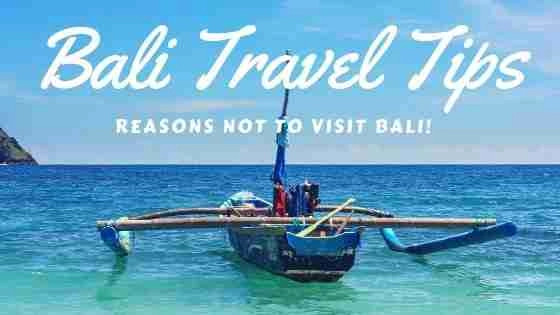 I would like to share with you my reasons why not to visit Bali. Please note this is our personal experience and view. This is purely how I felt and observed in Bali. Have to Haggle the Price of Almost Everything! This is a big problem particularly in Kuta. There is really nothing been done about this. Every local just seems to be involved in this. From the taxi drivers, bar staff, security staff, guys on the motorbike and seems to be loads of gangs at this on the streets and these gangs are in the bars also. Trying to pickpocket every tourist that passes by. My experience of the pick pocketing is that about five guys surrounded me with the pretence of friendly banter patting me on the back and it became fairly uncomfortably and then suddenly felt a hand go into his shorts side pocket where my phone was and shouted at them ‘What the f**K you doing’ and they all just shattered and walked off quickly. 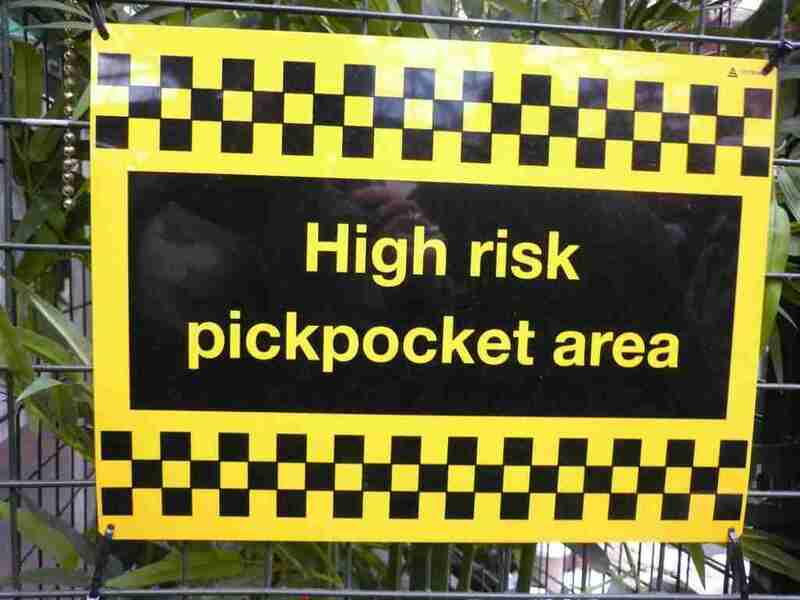 Regarding the police or tourist police on the subject of pick pocketing is they simply don’t care. The tourist police are totally useless and in reality are part of the problem. And the police are no better. There is guys in Bali, nearly every street corner or they will be just walking up the street. Will shout over or just walk over while I be in the restaurant eating. And ask if I want Viagra or some other one, as I keep saying no. He will work he way up to the class A drugs. In many cases, some these men are working with police that are undercover and once you agree to purchase drugs, they will arrest you in hope of a bribe or even worse a lengthy sentence in Indonesian prison. Corruption in Bali towards tourist is a problem. And the always traffic police watching for tourists. They will very quickly slap a fine on you for the most trivial things. For example not wearing a helmet, license or some other things. The fines aka form of bribe, which you can settle immediately by paying an amount ranging from 50,000 to 100,000 rupiah. They just didn’t leave me alone. Walk pass a stall, shop, restaurant or go to the beach, everyone is trying to sell something. While on the beach, there were trying to sell surf lessons, massage, drinks and there was one guy selling a bow and arrow on the beach. And then again after 10 mins the same people selling the same stuff, come around again, and again and again. The beaches in Bali were fairly overrated. The beaches were ok with some were partly dirty, crowded and really nothing special. When I compare the beaches in Bali to beaches in Thailand or Cambodia. Thailand wins hands down even Cambodia had way better beaches than Bali. In trying to do the touristy stuff like doing the Mount Batur Sunrise trekking was original quoted and advertised at 850,000 IDR which is about 55 euro. The price was haggled down to 430,000 IDR which is about 28 euro. Fairly nice discount. Most people we meet on the trek paid the higher price. Some places refused to haggle on the price, so we just go to the next tourist place. We received and were offered discounts on other touristy stuff. With the food there just seems to be no consistently. I got food in one restaurant and the food was pretty good and I returned 2 days later and the food at best OK. Again the food on the island is hit or miss. 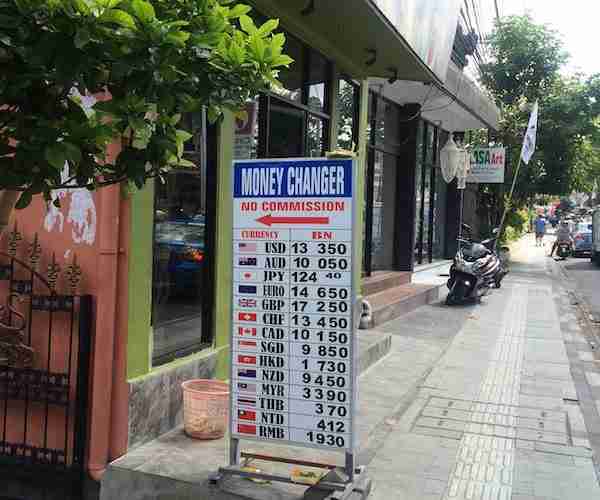 In Bali there is loads of money exchanges. A good percentages of these exchanges are there to solely rip off the tourist. They will advertise a very favorably exchange rate. Once you enter, they may have a funny calculator or give you a small notes and saying that they have not larger notes. After showing the stack of notes, they will lower it behind the counter and drop a few notes before handing it back to you. Remember, always make sure to use authorized money changers in Bali when you want to change your money. This is more of a pet peeve, mostly with restaurants that the prices on the menu do not include the sales tax and service charge. The sales tax is about 5% and the service charge is 10%. Both seem to vary from place to place. But either way it adds 15% to the final bill which is a nice bit. 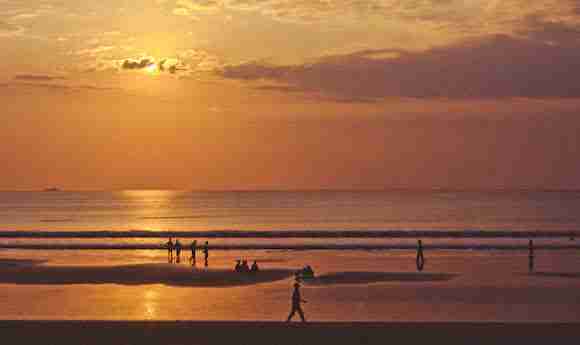 Bali has a good supply of guest houses, hostels and hotels. Here are a few places to check out if you are planning to visit Bali. Remember to check the reviews and book a place that suits you interests while traveling. Located along Sanur Beach, Villa Shanti Hotel offers a beachfront getaway and located just a 5-minute walk from central Sanur. The hotel features a spa and outdoor pool.All rooms come with a private terrace offering garden views. En suite bathrooms include free toiletries and a bathtub. Certain rooms feature a seating area to relax in after a busy day. All rooms include a private bathroom equipped with a bath or shower. There is room service at the property. Situated in Lembongan, Water Blow Huts offers beachfront accommodation with private beach area. Located 500 m from Devil’s Tear, the property boasts an outdoor pool with sea view. Free WiFi is accessible in all areas. Set in traditional thatch-roofed buildings, the rooms are equipped with air conditioning, a safety deposit box and mosquito nets. Each room has a private bathroom with a shower. Finally to summarize, if you want to visit Bali, just be ready for these things. Most of the people I meet including locals were nice but there is others that see tourists as ATM machines. Like any trip, you’ll get the most out of it by learning all you can before you arrive. And that’s it for now! I’d love if this post on these Bali Travel Tips – Reasons NOT to Visit Bali was helpful to you. Let me know if you have any questions and let me know if you go.